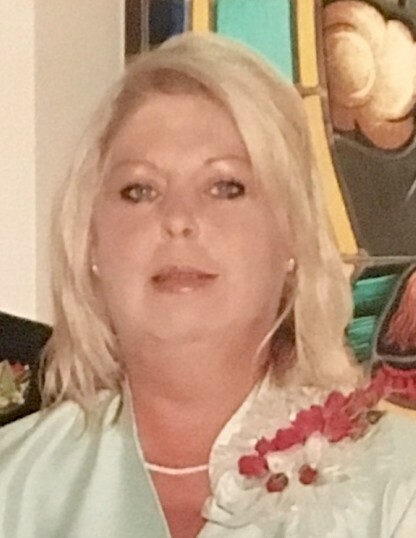 Carla Nichols Johnston, 58, a native of McLain, Mississippi, former resident of Sims Chapel, Alabama and longtime resident of Lucedale, Mississippi passed away Friday, April 13, 2018 in Baton Rouge, Louisiana. She was a homemaker and member of Sims Chapel United Methodist Church. Carla was an avid sports fan, especially Alabama football and enjoyed attending her sons and grandsons games. Carla had a talent of painting and would share her gifts with others. She was a loving wife, mother and grandmother. Carla was preceded in death by her parents, Wayne and Eunice Nichols. Those left to cherish her memory is her husband of 40 years, Charlie Johnston; sons, Chuck Johnston (Cotye) and Lemmie Johnston (Megan); daughter, Shelley Johnston Villar; granddaughter, Leigha; grandsons, Ethan, Gaje, Wyatt and Tanner; siblings, Nick Nichols (Cindy), Lee Nichols (Tammy) and Gina Nichols Levins (Rick); and many other relatives and friends. The family will receive friends from 11am until the 12pm funeral service on Tuesday, April 17, 2018 at Sims Chapel United Methodist Church with Bro. Dalton Tate officiating. Burial will follow in Sims Chapel United Methodist Church Cemetery. Online condolences may be given at www.freemancitronelle.com. Freeman Funeral Home – Citronelle, Alabama.